There is no better time to celebrate the classic frozen drink because it’s National Vanilla Milkshake Day. Yes, there really is a day to celebrate everything. June 20 is National Vanilla Milkshake Day and it isn’t too late to get to Gunther Toody’s and enjoy one of delicious creamy concoctions. Ours are made from hand scooped ice cream and we serve them in the tin. Not only do we have classic vanilla flavor, but if you’re a little more adventurous then you might want to try Butterfinger, Brownie Fudge, Oreo, or Chocolate Cherry. You can even add a shot to any of our shakes or malts and make it a Twisted Shake! Here is some milkshake related trivia to help you celebrate the day. 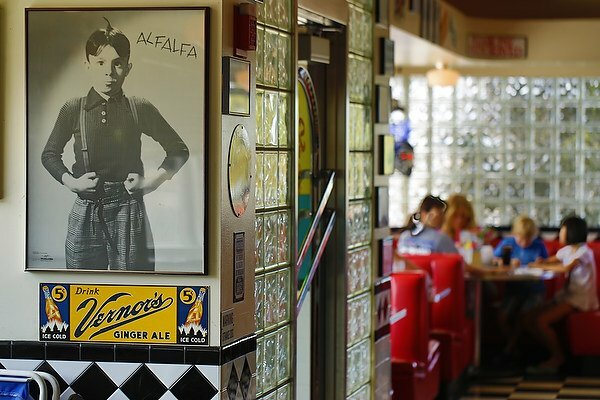 Bring the family to Gunther Toody’s and impress them with your knowledge over a few milkshakes! The flexible straw was invented by Joseph Friedman after watching his daughter struggle to drink her milkshake. The now indispensable item was patented on September 28, 1937. In Rhode Island milkshakes are called “cabinets.” It is believed this name came from the small wooden cabinets where people would store their blenders. The largest milkshake was made in 2000 and it was a whopping 6,000 gallons! September 12 is National Chocolate Milkshake Day. The electric blender was invented in 1922 by Stephen Poplawski. The new gadget helped spread the popularity of milkshakes.